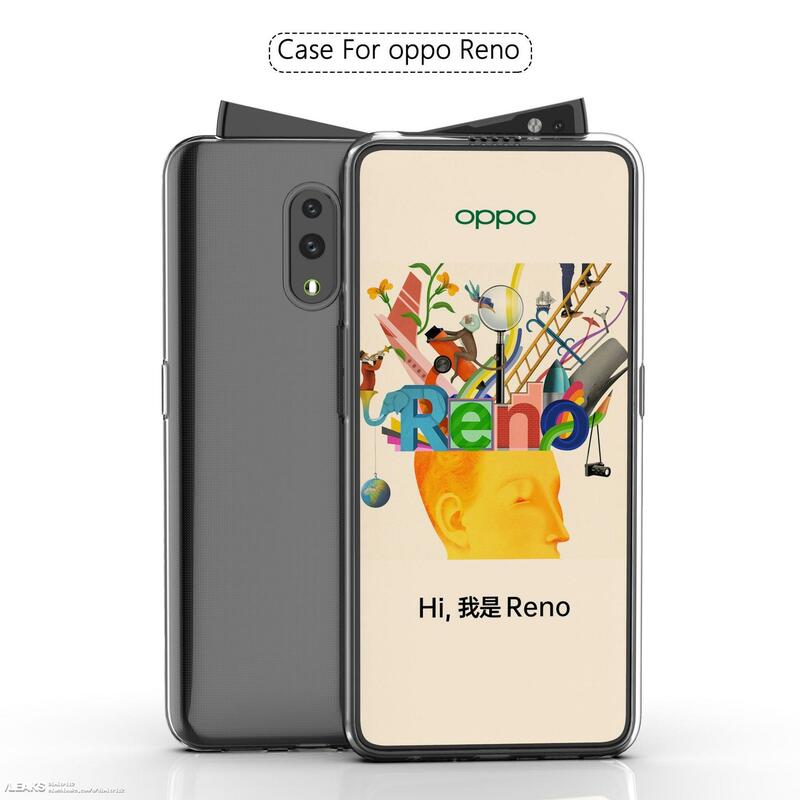 This month, Oppo announced a new product line named ‘Reno,’ and we would see the brand launching a new phone(s) under this product line on April 10th. Now, there are already leaks that hint at more than one phone, so we assume there is a high-end flagship and also a mid-ranger launching on April 10th. A couple of weeks back, the press renders of the Oppo Reno revealed a triple camera setup having one periscope style lens, i.e., 10X Lossless Zoom. Now, some new renders have leaked, and it looks like we now know how the mid-ranger would look like. As you can see, there is a dual camera setup on the rear, so this is most probably the smaller of the two phones that we would see under the ‘Reno’ product line on April 10th. The case renders show that there is a headphone jack on the bottom along with the USB Type-C port and speaker grill. No rear-facing fingerprint scanner means that the phone has one under the display on the front. But, that’s not the best thing about the design! 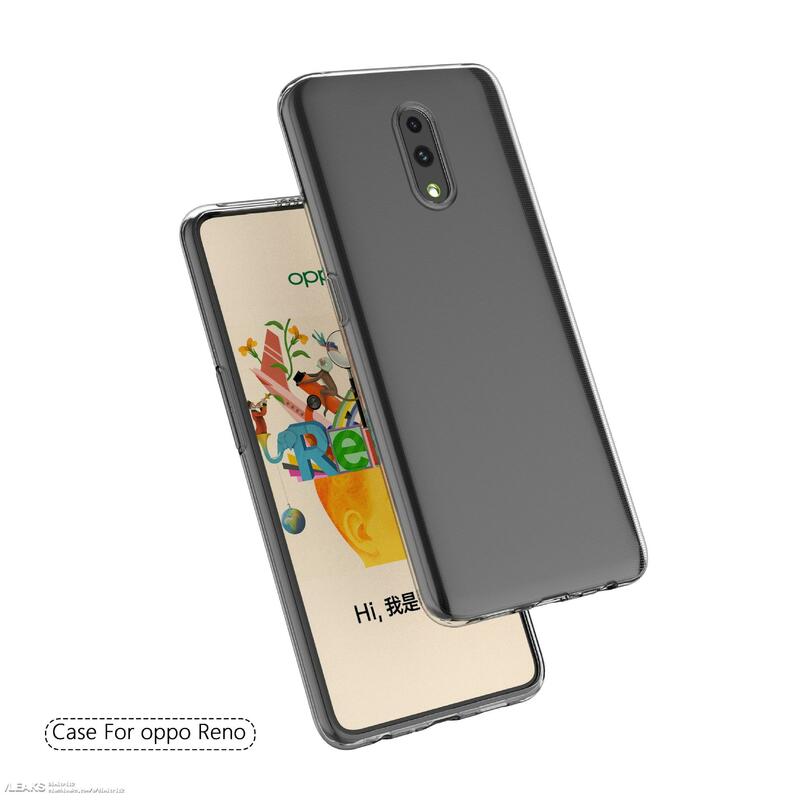 As the title of the article says, the Oppo Reno has a swivel pop-up selfie camera, and as you can see in the render above, it looks different than other phones having a similar mechanism. So, the camera comes out from one side only, and the other side remains tucked in. And yes, this is not just a concept. 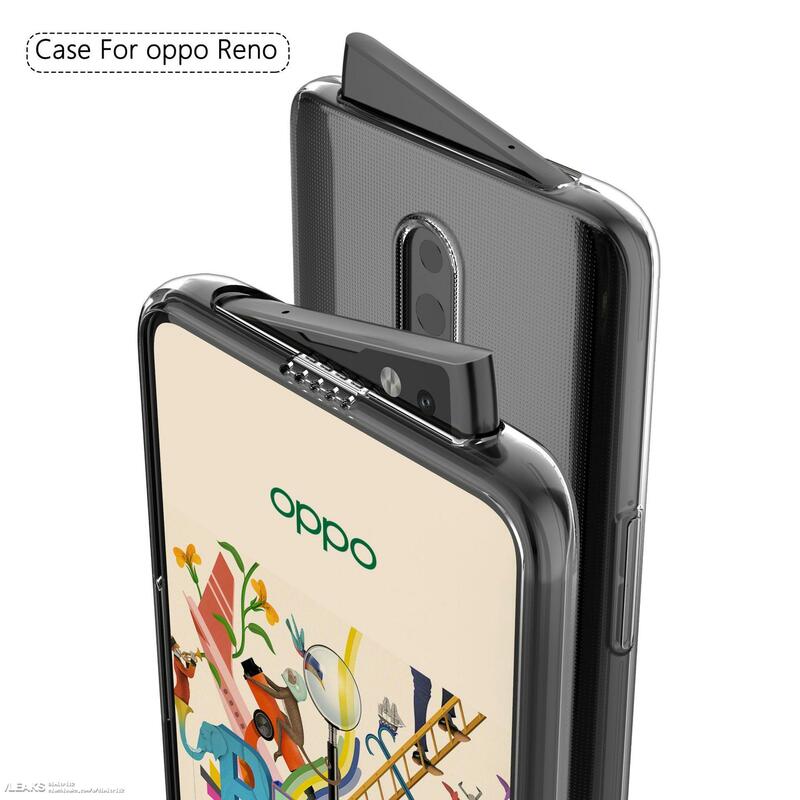 The hands-on video of Oppo Reno with this unique pop-up mechanism is already out, and this video confirms it. 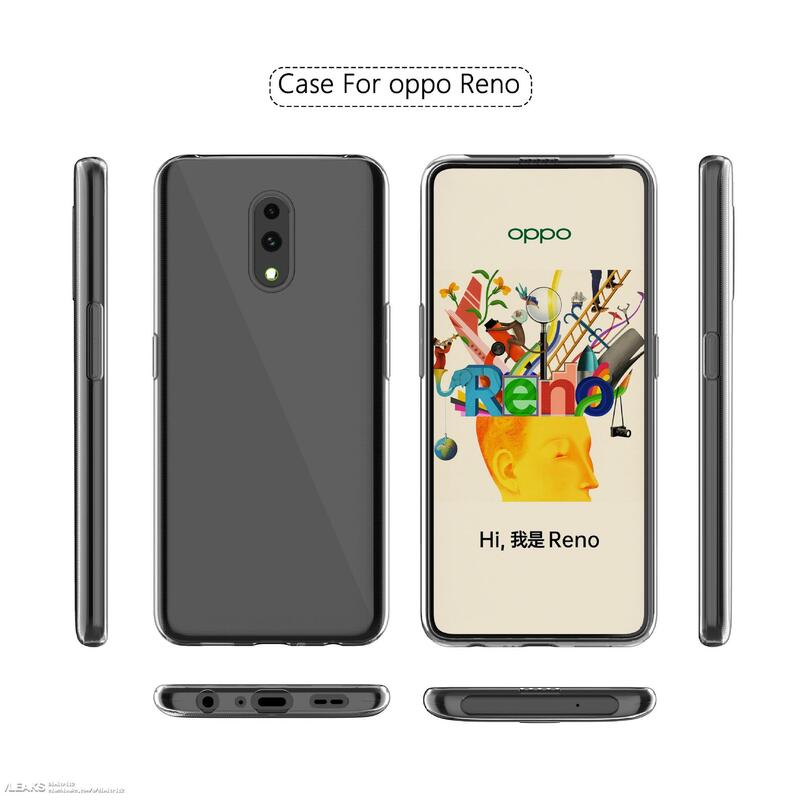 So far, some leaked specifications of this mid-range Oppo Reno (there is also a high-end one) include Snapdragon 710, 6/8GB RAM, 128/256GB storage, 6.4-inch FHD+ AMOLED screen, 48MP + 5MP dual rear cameras, 16MP front camera, 3,680mAh battery & Android 9 Pie.